While academic skills are an important part of what schools need to impart to their students, there are a number of competencies that are as important -- and sometimes more so -- in helping children become happy, successful adults. These competencies are generally referred to as "social-emotional learning" and have been the subject of much attention from schools, researchers, and organizations in all areas of education. Here at The Yellin Center, we look at social and emotional issues as potential areas of strength or challenge for all of the students we see, and have long noted the importance of what we call social cognition as a part of success in school and life. CASEL, the Collaborative for Academic, Social, and Emotional Learning, is an organization whose mission is "to help make social and emotional learning an integral part of education from preschool through high school." "Self-awareness: The ability to accurately recognize one’s emotions and thoughts and their influence on behavior. This includes accurately assessing one’s strengths and limitations and possessing a well-grounded sense of confidence and optimism. Responsible decision making: The ability to make constructive and respectful choices about personal behavior and social interactions based on consideration of ethical standards, safety concerns, social norms, the realistic evaluation of consequences of various actions, and the well-being of self and others." CASEL works with schools, districts, and policy makers at state, federal and local levels to advance legislation and programs that promote social-emotional education in schools. Their work is highlighted in the first of a series of reports entitled From Practice to Policy, from the National Association of State Boards of Education. 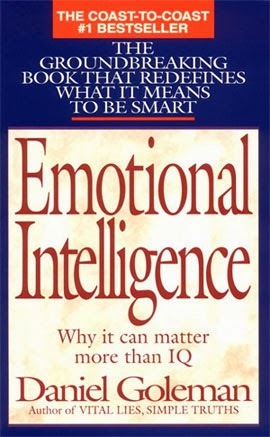 No discussion, however brief, of social-emotional competence can be complete without mention of Daniel Goleman, a co-founder of CASEL and generally credited with popularizing the term "emotional intelligence" or "EQ" (as opposed to "IQ) in his best-selling 1995 book of the same name. By bringing the concept of emotional intelligence into popular culture, he helped to lay the groundwork for applying its tenets to education and business, and facilitating research into the connections between social-emotional competence and brain development. And, in his new book, Focus, Goleman discusses how the pathways that regulate social cognition and attention are interrelated. Dr. Yellin has read it and strongly recommends it.